Hell you can't even bring nail clippers on a plane! You know how many planes have been hijacked with nail clippers? Gosh, it must be at least ZERO. 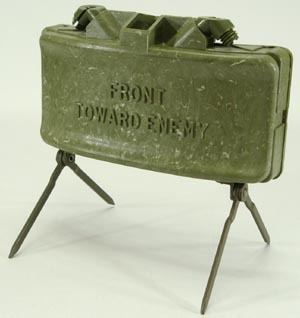 Clippers not allowed, Claymores are ok.
TSA agents at Newark International Airport in New Jersey stopped an employee of the Army’s Picatinny Arsenal with two inert Claymores in her carry-on baggage but they failed to detect a third mine that was being loaded into the plane’s hold inside her checked bags. I once brought a loaded .45 magazine in a backpack thru the airport by accident. Whoops. That backpack had a TON of pockets. Nothing really happened other than the agent being pissed that I "inconvenienced" him. Thanks to Defense Tech for the intel.